Hi! 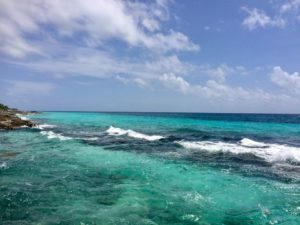 Welcome to Martennis Riviera Maya, in this Article I will be giving you some interesting information about Playa del Carmen, then I will talk to you about some of the best Tennis options available here, so let’s get started! Where is Playa del Carmen? Playa del Carmen is a well-known International holiday destination. Its privileged location, solid infrastructure and diverse leisure options have positioned it as one of the best holiday destinations in the World. 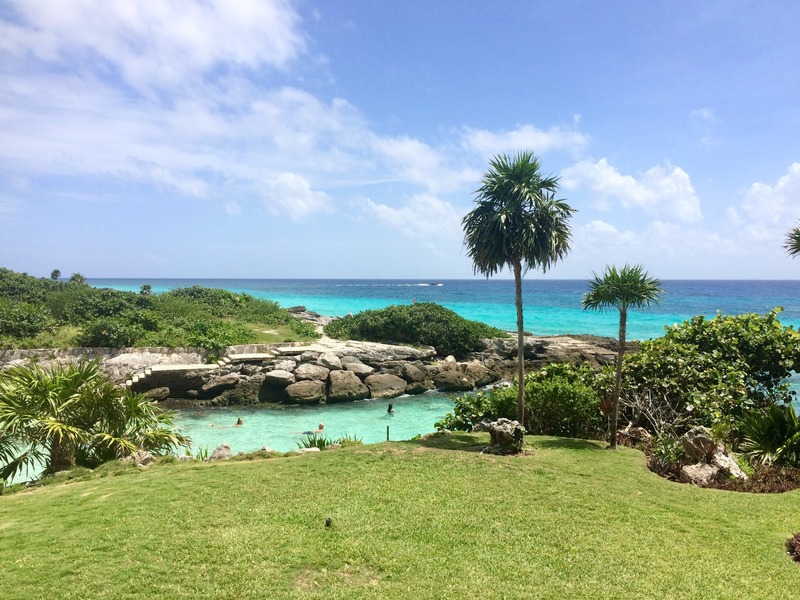 Located in the heart of Riviera Maya, Playa as we locals call it, is just a 45 minute drive from Cancun International Airport which connects flights from all over Mexico, North America, South America and Europe. This Airport is one of the busiest airports in Latin America, reaching a record figure of over 23 million passengers, that was in the year 2017, many of which visit Playa del Carmen and the Riviera Maya. 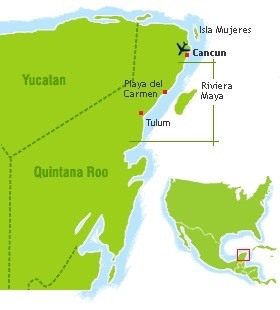 Playa del Carmen is known for its excellent central location in Riviera Maya (see map below), it has safe and direct highway links to Cancun, Tulum, Chichen-Itza, Holbox and Merida, and it also has a ferry link to the famous Island of Cozumel. Playa del Carmen is also known for its cosmopolitan community, beautiful beaches, hotels, resorts, for its many outdoor activities and for its long and glamorous 5th Avenue. This famous Avenue spans for over a mile long in which you can find many leisure options including Shopping, Restaurants, Bars, Art Galleries, and many other fun things to experience. 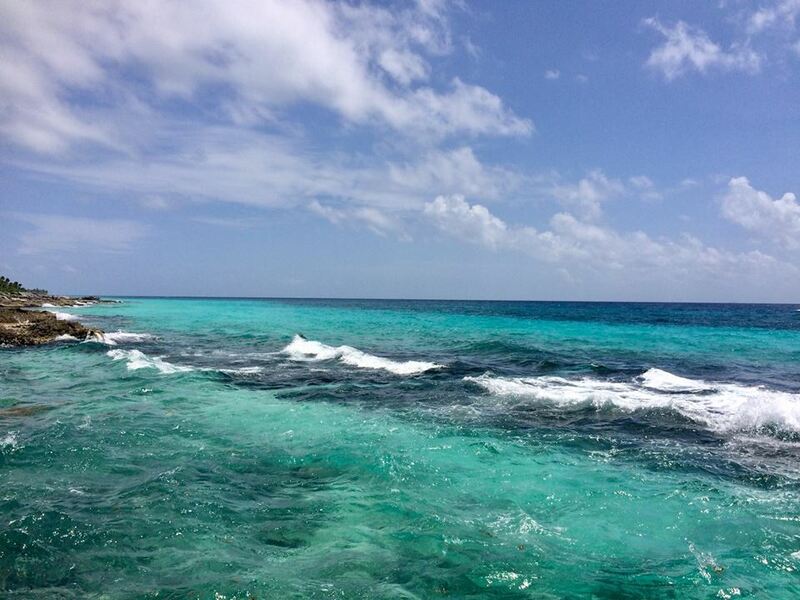 For the avid tourist, Playa del Carmen offers many options of outdoor activities which range from water activities such as Snorkeling, Sailing, Fishing, Diving, Parasailing, Jet-skiing, Kitesurfing, to inland activities such as Jungle tours, Mayan Ruins, Zip lining, Eco Parks, Golf, and Tennis of course! 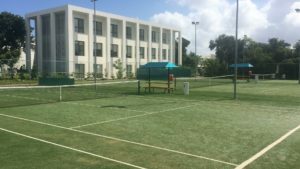 What are the best Tennis Courts in Playa del Carmen? 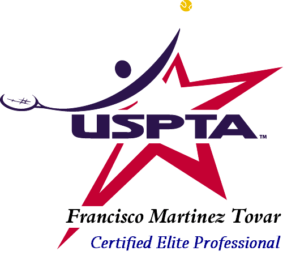 I am a freelance Tennis coach over here and I have been fortunate to be teaching and coaching tennis in Playa del Carmen and across Riviera Maya for 10 years. During this time, I have experienced most tennis courts here, all the way from Luxury Hi-End Resorts to Residential grounds and Public tennis courts. 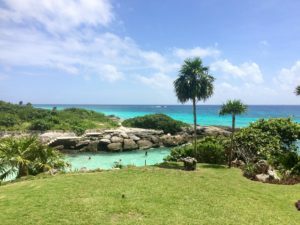 Some of the all-inclusive resorts feature tennis courts, but there are not that many tennis venues available to the public here as this town is relatively small and relatively new. None the less, a lot of Real Estate development has been happening over the last years here, so the logical trend is that it will keep growing on both, Real Estate and Commercial properties, which may include at some point, the development of sports clubs or sports facilities with Tennis, in the years to come. So, if you want to practice or play some Tennis here in Playa del Carmen, in my estimation, in terms of location and convenience, one of the best options is to check out is the Public Sports Park Deportivo Mario Villanueva which features a Soccer stadium (in which the Inter Playa Soccer team trains and plays). This Park also features an Athletic running track in which you can jog and train for free, two Basketball courts and two hard Tennis courts with a practice hitting wall on its right hand side. 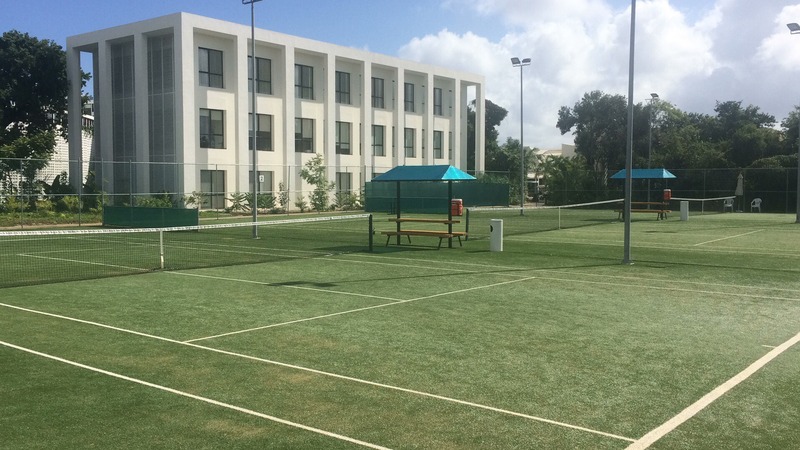 If you like more state of the art tennis courts, then the Ocean Riviera Paradise Resort is also a great option for you as it features three flood-lit professional artificial grass tennis courts. Located about four miles north of town, it is well worth the trip! Get a Court Booking with a Coaching Session! Get your tennis court reservation through me. Saves you time and is hassle-free. I can Book your tennis court with a Coaching session, Click here to Reserve your Court and Lesson. I work with a wide array of students and players coming from different parts of the world, these include Toddlers, Children, Teenagers, Adult Beginners, Intermediates and Advanced Players. For me it is always fun and interesting to meet new students and players. I have also learned a lot from them over the last 18 years of teaching and coaching! 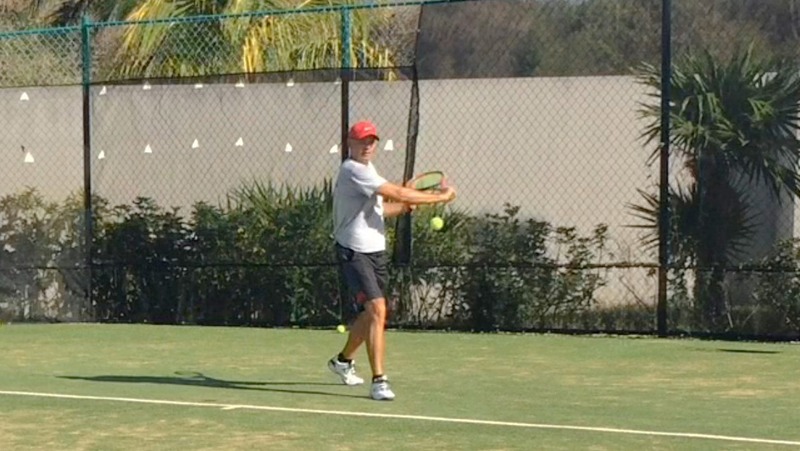 My tennis coaching philosophy is all about creating a great tennis learning experience for you so that you see results as quick as possible. 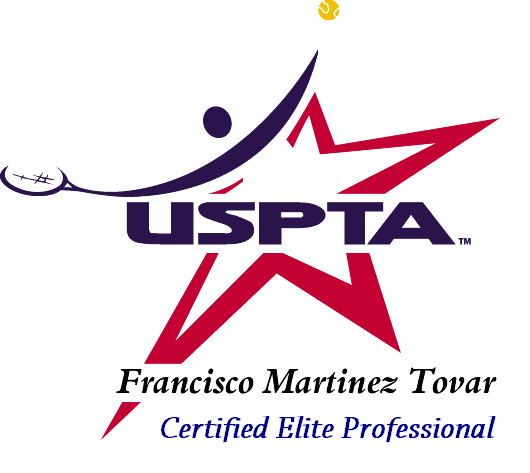 I design and customize a lesson plan which works best within your tennis needs and goals. Having said that, your tennis goals are very important, they give you a clear vision of where you want to be in the short, middle and long term, they are key to your improvement! Lesson Fees may vary according to seasonality. Packages may become available during low and shoulder seasons (from May to October). Thanks for reading and sharing. All the best, I hope to see you on-court!